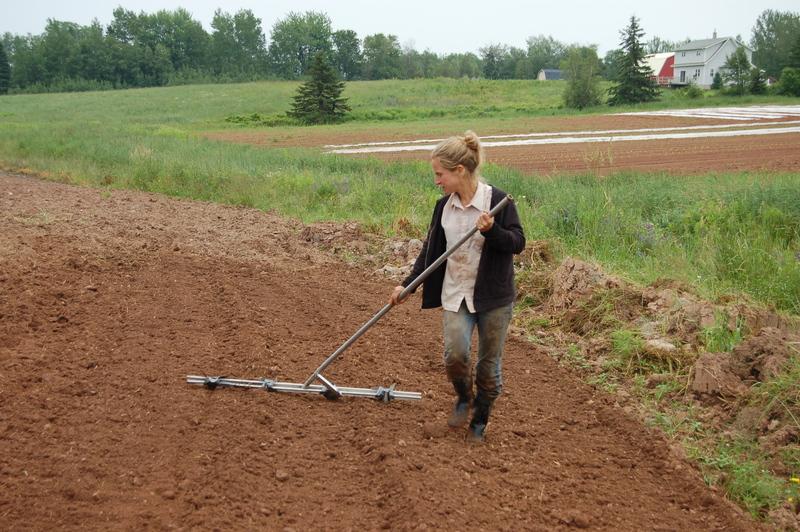 Cammie traces lines in the soil for efficient and consistent rows. She uses a home-made rake with adjustable teeth and a smart ergonomic handle angled to facilitate walking along-side her beds. After a few days rest with a Warm Showers host in Moncton, New Brunswick, we cycled East into Nova Scotia, to the shores of the Northumberland Strait and Waldegrave Farm, near the town of Tatamagouche. Waldegrave is a really inspiring place, both for the collaborative model of land tenure they have developed, as well as the organic vegetable production being managed by Cammie Harbottle. This first post is about the Land Trust, there will be another post coming soon about Cammie’s farm. 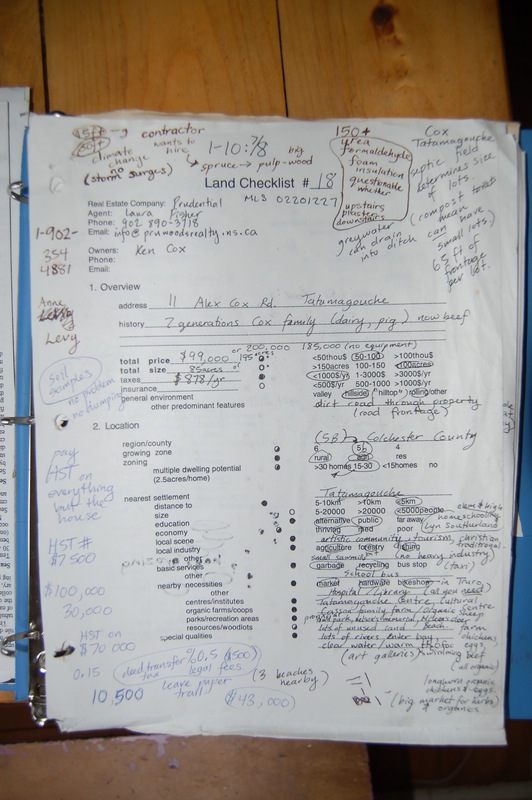 The Land Search Binder...the group developed a checklist of their key considerations for real estate and visited dozens of farms throughout eastern Canada. In the end, the farm on the page shown here was the winner. Alex DeNicola from Highland Farm has been providing the Halifax Farmer’s Market with organically grown veggies since 1992. In recent years, Alex has also become an avid permaculturist. 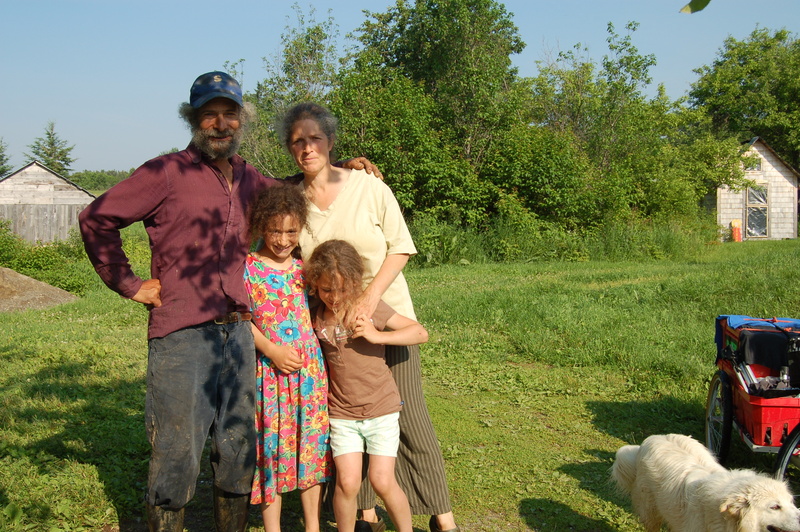 Although he describes his permaculture vision for Highland Farm as a young project, there is already lots going on, including: the remodelling of his gardens, digging ponds, keeping livestock, constructing a cob oven, and the conversion of an old hog barn into a community living space. Much of the infrastructure on the farm is made from reclaimed material. Alex has mastered the art of giving a second life to discarded materials of all sort, thereby keeping his operating and project development costs very low. 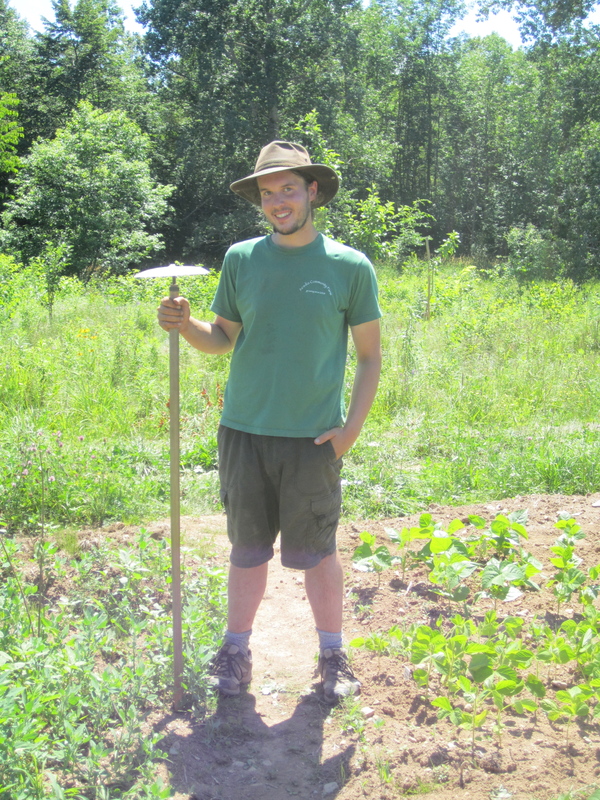 A few of his permaculture inspired techniques are documented below. 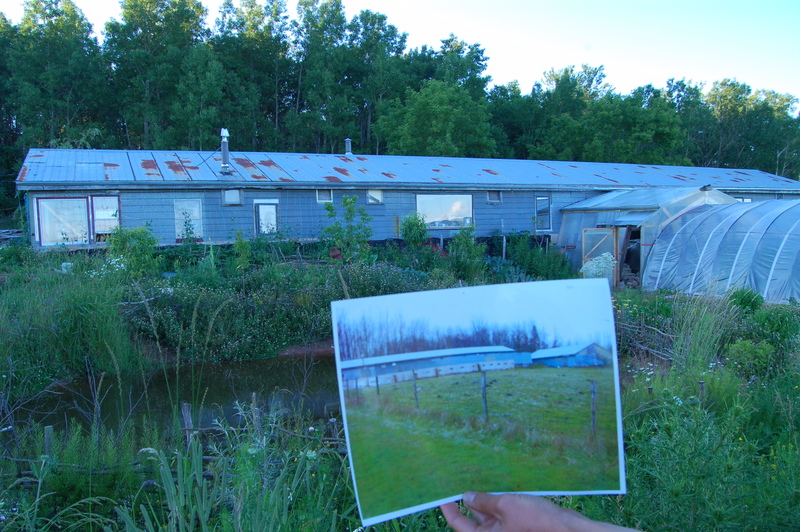 This ''before and after''picture shows the drastic improvements that have taken place on Highland Farm in the last few years. 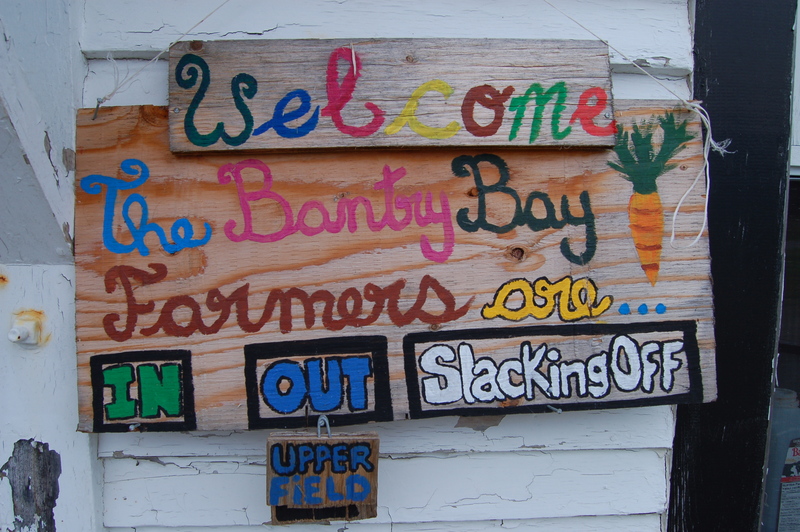 After a three days of riding and a day off in Fredericton, NB, we pressed on through the St. John River Valley towards Havelock, NB arriving at the David Bunnett Family Farm, home of Green Meadows Organic Beef. Operating on 400-acres (150-acres of which they own), the Bunnetts raise 120 head of cattle, 70 turkeys, and four batches of 250 meat birds each year. 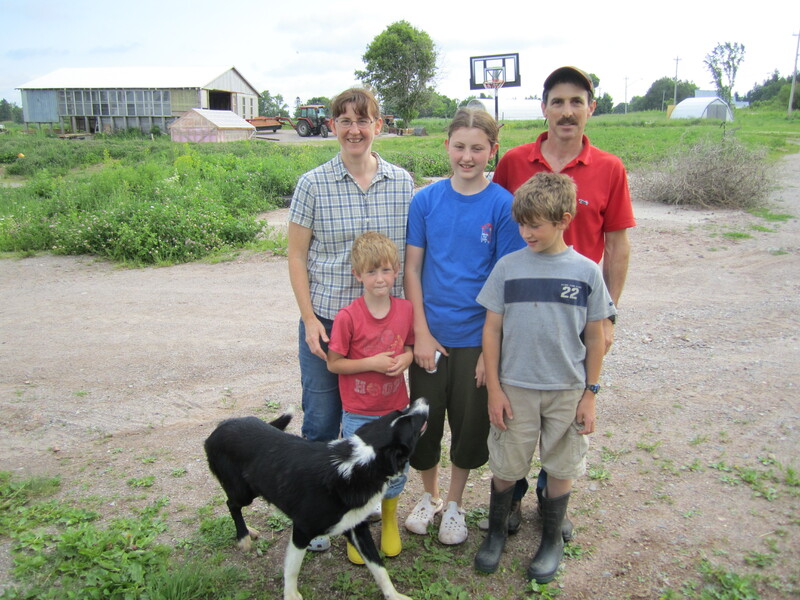 What stood out to us at this particular livestock farm was the size of the operation, which seems to be really manageable for a family to operate, as well as the way they sell their beef, namely fresh at the Dieppe Farmers’ Market. Speerville Flour Mill had humble beginnings way back in 1982, but has grown into a thriving producer of whole grain flours and cereals for Atlantic Canada. We recently pointed our bikes towards Speerville not to see the mill, but the thriving family farm that one of the mill’s co-founders established right beside it. Stu Fleishaker got the farm going shortly after he helped the mill get started, and with his wife Nancy has built a farm whose reputation for producing good food, at least among the farmer n’ foodie crowd, rivals that of the mill.